Did your property in Kew recently test positive for asbestos? Are you seeking help with asbestos removal in Kew? Contact Hazaway Asbestos Removal today! You can reach us online or by phone at 0432 622 292, where a Kew asbestos removal specialist can answer any questions you have about your asbestos removal needs. Hazaway Asbestos Removal is a fully-insured, professional Class B certified asbestos removal company. We provide non-friable asbestos removal services in Kew and the greater Melbourne area. Unfortunately, a significant amount of properties built before the early 1990s likely have some form of asbestos present. This is because asbestos was the go-to construction material until the world learned how dangerous it is to health. Due to the hazardous nature of asbestos, it should be removed by a licensed professional. No amount of DIY money saving is worth the exposure. Kew asbestos removal projects are not simply taking asbestos out of an affected property. In fact, your Kew Asbestos removal project has many aspects involved to get to its safe completion. 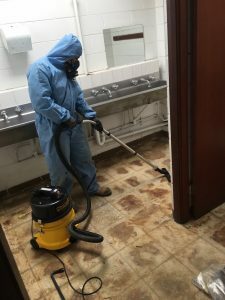 Professional Asbestos Removal – Hazaway Asbestos Removal prepares the property to have the asbestos removed, then efficiently takes away the dangerous material. Safe & EFA Approved Asbestos Disposal – Asbestos is a hazardous, toxic material. It must be discarded under strict criteria determined by the EPA. We work within these specifications. Asbestos Encapsulation – Sometimes it is safer to leave asbestos in its place and instead create a seal that cordons it off. Asbestos Testing – We arrange for the analysation of suspect material to determine if asbestos is present. Quality Asbestos Air Monitoring – We check for the existence of asbestos fibres in the air. Asbestos Clearance Certificates – Hazaway Asbestos Removal issues clearance certificates to confirm the asbestos remediation in your Kew property. Why Choose Hazaway for Your Kew Asbestos Removal Project? Hazaway Asbestos Removal is a certified professional, permitted to do asbestos removal in Kew by the EPA and Worksafe Victoria. We know how alarming it is to learn about asbestos in one’s property. We also know that asbestos removal cost is a concern for those needing it. We provide our Kew asbestos removal services at a reasonable rate, while conducting our business at the highest standards. We operate timely and efficiently because we know the stress related to asbestos. We want to get you back to your normal life quickly, safe in the knowledge that your home or business is asbestos-free! If you would like to learn more about asbestos removal in Kew, or are interested in a free quote, contact Hazaway Asbestos Removal today. You can reach an asbestos removal specialist online or by phone at 0432 622 292. We happily answer any questions you have while relieving your Kew asbestos removal concerns.